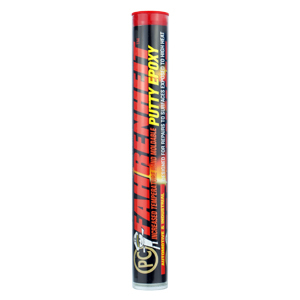 PC-Fahrenheit™ Putty Epoxy is the choice for temperatures up to 260° C/500° F. It is supplied as a premeasured stick that you mix with fingers. 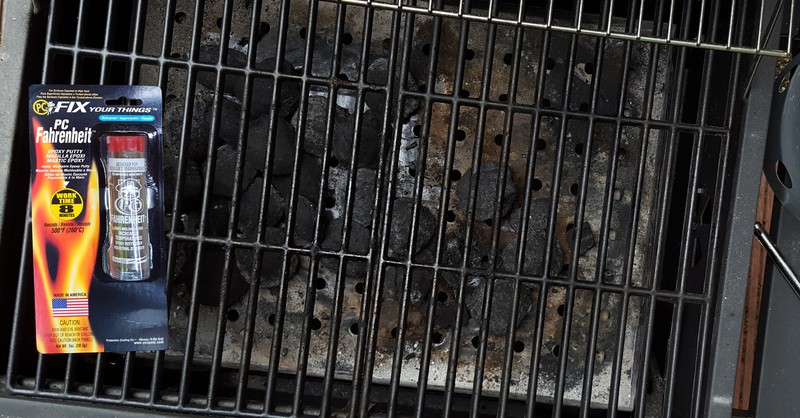 Fast curing (60 min). Best for steam heat applications. A toolbox must. Great on copper and iron. Exhausts, engine blocks, grills, stoves, steam pipes and more. PC-Fahrenheit™ will withstand temperatures up to 260°C/500°F. A fireplace or wood burning stove creates temperatures exceeding 260°C/500°F. 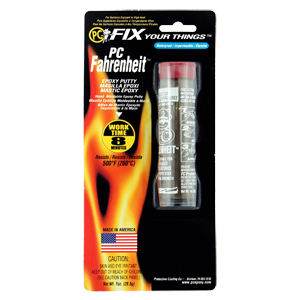 PC-Fahrenheit is not intended to exceed 260°C/500°F. Engine exhaust is very hot, especially at the catalytic converter where the temperature can exceed 260°C/500°F. The smell may diminish eventually or you can remove the cured epoxy and replace the leaking converter.